Above is sophomore Megan Sin, a passionate seven-year violinist. The number of students that participate in orchestra has drastically dwindled since elementary school. 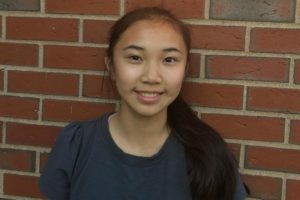 However, sophomore Megan Sin, a seven-year violinist, is one of few students continuing to fully commit to her instrument. Young Sin found her calling when Wayland orchestra conductor Whitney Tandon held a “Strings Instrument Petting Zoo.” The “Strings Instrument Petting Zoo” consisted of Ms. Tandon touring through second grade classrooms to expose second graders to string instruments for the first time. She allows them to try out each of the strings instruments in order to get a feel for which instrument they would want to play in the third grade. Sin has been playing ever since. 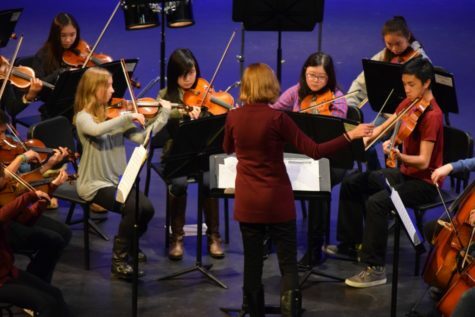 Pictured above, (top left), Sin is playing the violin in last year’s Winter Week Chamber Orchestra Concert. Sin’s success with the violin started early on in her career from her countless solos in elementary school to being in the Honor Chamber Orchestra in middle school. 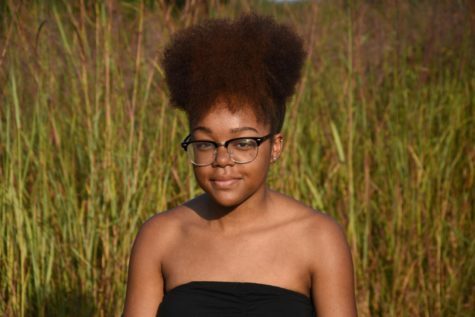 Her success as a musician has carried on to high school, where Sin is now a two-year member of the Honors Sinfonia. Sin’s drive and passion has helped her tremendously. However, sometimes her drive only goes so far. “It’s so time consuming. I have a hard time managing practicing, doing homework and [playing] sports,” Sin said. “Practicing takes me a while because at first, I don’t know what I’m doing. I have to be patient and just keep practicing the piece,” Sin said. Along with participating in school orchestras for seven years, Sin has also been participating in an outside-of-school orchestra program at the Rivers Youth Conservatory for five years. Sin voluntarily prolongs her weekend freedom every Friday in order to practice with the Rivers orchestra that runs for two hours after school.